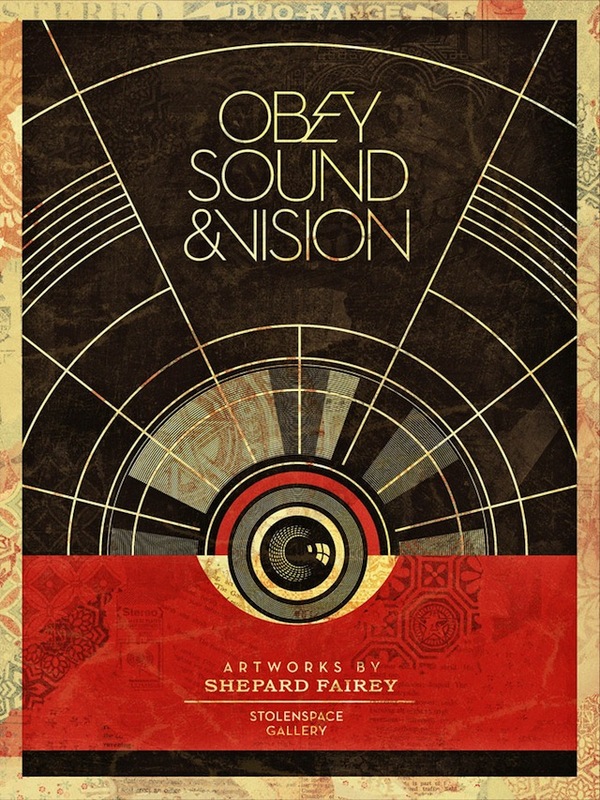 Coming up in October, Shepard Fairey (featured) returns to the StolenSpace Gallery in London for a solo show entitled Sound and Vision. The name of the exhibition is taken from the song of one of his favorite musicians David Bowie and embodies one of the greatest inspirations for Shep’s art – music. The new body of work (in-progress above) includes mixed media works on canvas, screen prints (wood, metal, and paper), rubylith cuts, and retired stencils as well as an installation of a record store environment, with customized vintage turntables and a portion of his own record collection for public listening. If you are a fan of his work, come out on October 19th to support Shep, who is looking to put his fight with the AP behind him (terms of his sentencing here). Also, take a look at his statement on the subject here. Categories: Shows & Events, Street & Urban Art. 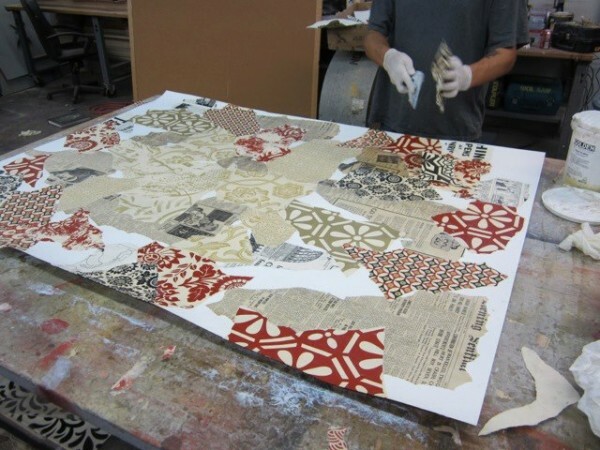 Tags: London, Shepard Fairey, Shows & Events, Street & Urban Art.